Multiple product lines exist together in one place. You can actually handle the product before purchasing. You can take immediate possession of the product after purchasing. Depending upon her availability, you may be able to obtain selection advice from Dr. Pat. You avoid shipping costs when you purchase an item from our shelves. Unless you will be at the clinic anyway, an extra trip may be required. Immediate availability is limited to the items on the shelf. We will do our best to help you but unless you have mobile access to the internet, browsing of product literature on line is cumbersome. Shop when and where it is convenient for you. The complete extensive brand product line is available. Access our most comprehensive and immediate self help product resources by store. Place your order via internet, phone, or fax. Shopping tools including personal shopping lists, transaction history, and auto shipment are available. You are limited to the brands represented by each store. If you purchase products from more than one store you may incur more than one shipping charge. Does not handle all special promotional discounts. On line store access is available in the sidebar of this page. Click here if you would like more information on our On Line Stores. Our font desk is happy to assist during office hours (see sidebar). Website Use the contact form on the contact page of this website. Given that trade offs may exist between the various purchase methods available, your decision regarding which method best meets your needs begins with an understanding of what’s important to you. In general, trade offs represent a balance of the following four main purchase values: availability, convenience, cost, and delivery speed. The following represents some additional notes and tips relevant to each of these. All items that we have access to are available by purchasing through our front desk. Off the shelf purchases in the clinic are limited to an evolving collection of our favorites. On line stores offer complete lines of the brands that they represent but are also limited to those brands. We try to make purchasing product from HOLLY HOUSE as convenient as we can. Using one of the methods shown in the box above, we offer you the ability to request sales support and to submit your order from wherever whenever you wish. We are also happy to ship your product wherever you like. HOLLY HOUSE prices it’s products competitively. Product prices should be the same whether you order from our on line stores or our front desk with the one exception that all special promotional discounts may not be available from our online stores. We will present specific details with each promotion. Click here to see our Price Match Assurance. We endeavor to keep the cost of shipping down. We do not make any profit on our shipping charges. 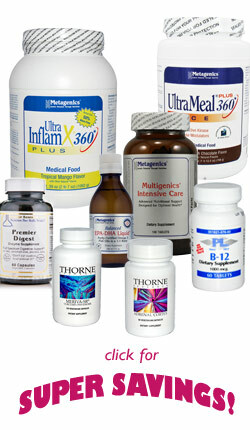 You purchase your product off our shelves and take delivery in the clinic. We include an order for your item with our normal purchasing process and you pick it up at the clinic. This is normally easy for us to do for you and turn around should be within a week. You request one of our “A” items while at the clinic that is currently available from the manufacturer but not on our shelves. In this case, we will ship the item to you with free shipping. You order from one of our on line stores and the value meets the minimum transaction level required for free shipping. Your item is a special order item and you require it sooner than our normal purchasing process accommodates. You request that the item be shipped to you and you do not qualify for free shipping. Small orders shipped by the front desk may ship for less than $5. Large orders shipped by the front desk may ship for less than $10. On line stores charge $8 – 9 depending upon the store. Orders totaling $200 – 250 ship free or almost free depending upon the store. Tip: Shipping costs can accumulate if your order must be sourced from multiple vendors. Call our front desk for assistance if this is a concern. The quickest way to obtain a product that we stock is to pick it up at the clinic when you need it. Tip: Should you plan to purchase an item from our shelves, contact us to confirm that we have it in stock before visiting. Choosing to include it in our normal ordering process will yield savings on shipping expense but may require more time for delivery.